For hundreds of years, the children of Knuddlesbury have been kidnapped and used as a source of LifeBlood for the Scavyngers, an army of despicable, loathsome monsters that rule Toot-Keye Woods. Despite tireless searches by the Ministry for Missing Children, the Scavyngers Headquarters proves impossible to find without the help of an ancient scroll containing a map of the woods. When the ghost of Barnaby Cattlebridge, the last child to escape the Scavyngers, appears to Fidelis Klopper, telling him that he must defeat the Scavyngers, Fidelis is flabbergasted. Then he meets his new science teacher, Gaspar Dylan, an eccentric man with an air of magic, and instantly feels a connection with him. 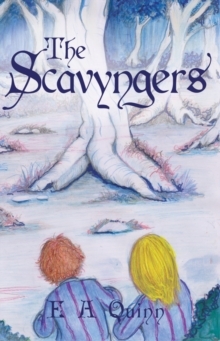 The Scavyngers know that they have to recover the Scroll before Barnaby, Fidelis and Gaspar work together and use it to destroy them. Faced with a dangerous enemy, the trio work to defeat them. But when Fidelis's brother is captured by the Scavyngers, he races blindly into Toot-Keye Woods to rescue him. Fidelis too is captured and devises a plan to escape, offering the Scroll for his life. A fierce battle ensues after the plan goes horribly awry. Will Fidelis be able to beat the Scavyngers? Inspired by M R James, The Scavyngers is a childrens fantasy adventure packed with monsters and magic with an overriding theme of good versus evil. It will appeal to children aged 9-11 and those who enjoy a fast-paced fusion of adventure, comedy and magic.